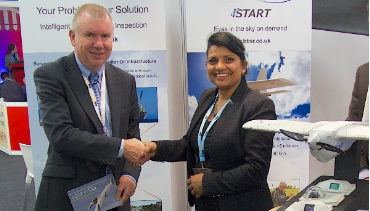 e-Go aeroplanes Limited has announced the signing of a Memorandum of Understanding with Blue Bear Systems Research. The two companies will work together as partners in the research, testing, support and training for the e-Go platform as an optionally piloted system (OPA), which would be based on the e-Go Single Seat Deregulated (SSDR) aircraft, and would have Blue Bear’s equipment embedded to facilitate unmanned operations. The companies also plan to work together to provide a suitable datalink and full motion video system to aid training for e-GO customers. Dr Yoge Patel, CEO of Blue Bear said, ‘Following extensive talks with e-Go I’m delighted that we have now have established a (MOU). The e-Go is a remarkable aeroplane at the cutting edge of aircraft design, which we believe has huge potential as an OPA. We very much look forward to working with Adrian and his team and using our combined expertise to create a truly unique product’.